Whether you see yourself as the next Georgia O’Keefe, Aaron Draplin, or Andy Warhol, or you want to spend some time admiring and interpreting the works of the greats, the minors in new media, art, and technology from Indiana University Kokomo might be the perfect fit for you. Since art and design is such a huge umbrella of study, you can use a minor to specialize your degree or you can add a minor to a different field of study to broaden your skillset. We offer three different minors. This minor is ideal for students wishing to develop a strong foundation of knowledge in art history. A minor in art history is helpful for students wishing to go into education, art administration or graduate programs in fine arts. To earn an art history minor, a student must take 18 credit hours, including courses like Ancient and Medieval Art and Renaissance through Modern Art. This minor is focused on the studio arts within the new media, art, and technology program. The minor includes NMAT-S courses and it involves a capstone experience where minors present their work. This minor offers a pathway for students interested in pursuing art therapy. It also works well for education majors or any student interested in pursuing traditional studio art. To earn a studio art minor, a student must take 16 credit hours, including courses like the Core Foundations classes and Independent Studio Projects. This minor is an excellent choice for students wishing to develop a strong understanding of new media technologies so they can apply them to their chosen field. 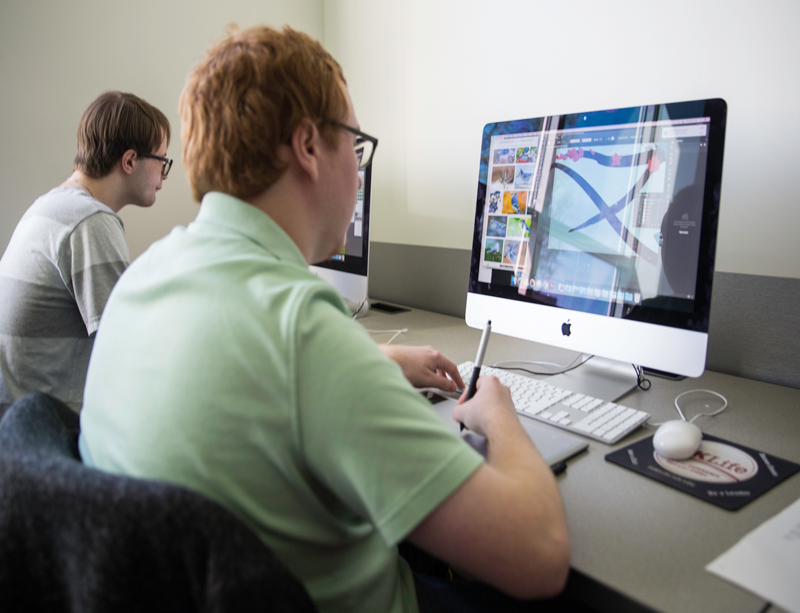 To earn a new media, art, and technology minor, students must take 15 credit hours, including courses like Introduction to New Media and Internship in New Media, Art, and Technology. For the most current requirements for this degree, please visit our Academic Bulletin.